Emmitsburg Township located in Emmitsburg Maryland. SSPCS was contracted to overhaul an aging video broadcast system. Computers were installed along with a Digital video mixer. Existing video cameras were in good shape, so they were retained in the system. The meetings are archived locally in the computer, to the cloud, and burnt to DVD per client request. We additionally provided training to the office personnel. PowerPoint computer, for 24 hour TV broadcast channel and web site content. 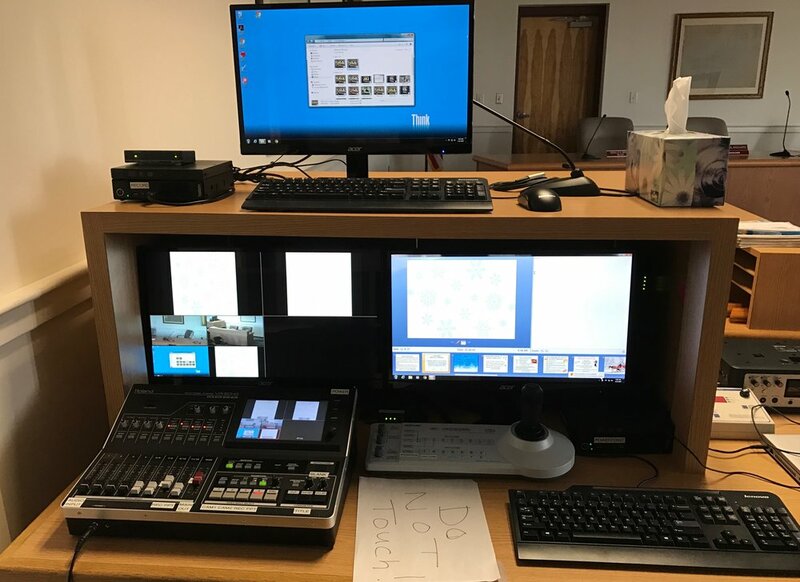 Additional computer for recording township meetings that are broadcast live and replayed throughout the month. Roland VR50 digital video mixer was installed with all cameras and computers connected for complete control to multiple outputs including a cable TV modulator and room projector. 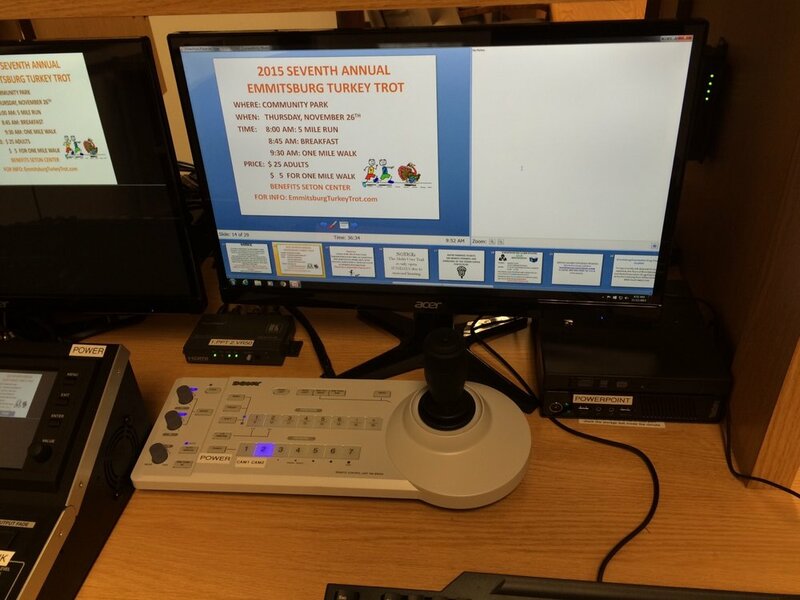 Camera control and computer for PPT presentation on a 24 hr. loop for residents to see township events and news.